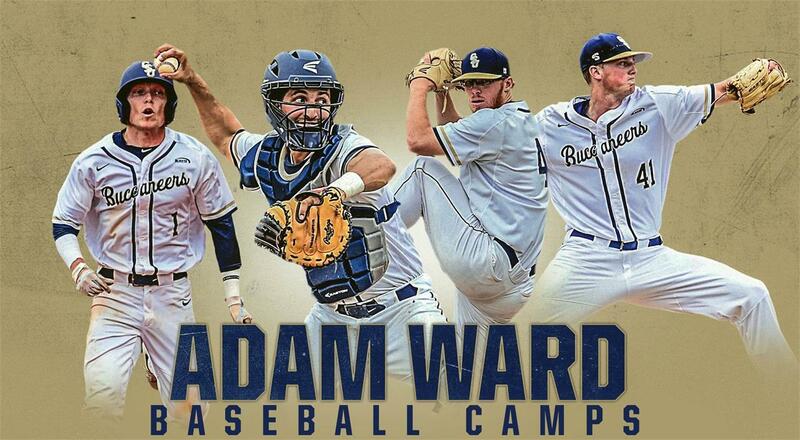 The 2019 Adam Ward Baseball Camps provide campers with a great opportunity to experience a great day of instruction on the campus of Charleston Southern University. Throughout each camp, instructors will be current Charleston Southern Coaches as well as current and former Charleston Southern baseball players. Each camper must bring his own baseball equipment. Players should bring a glove, cleats/spikes, running shoes or turf shoes, hat, helmet, bat, batting gloves and any other equipment they feel necessary to compete. Please check begins 60 minutes prior to the start time. Please read, fill out and bring signed form to the registration check-in. Adam Ward Baseball Camps offers a camp insurance protection plan that will guarantee a full refund of fees if cancelled within seven (7) days of the start of camp. This plan is available for an additional $10.00, due at the time of registration. This cancellation protection plan allows for peace of mind in case your plans change and allows us to keep our prices low and provide the best service possible. The plan is fully enforceable provided that cancellation is made prior to seven (7) days from the start of camp. Please note that there will be no refund or credit issued if cancelled within the seven (7) day period of the start of camp. Charleston Southern Baseball gear will be available to purchase while at camp. Note: The University/Buccaneer Baseball Camps may postpone or cancel this, any and all events due to circumstances or conditions beyond its control, such as, but not limited to, natural disasters, acts or war, acts of God, including weather, or public health emergencies. Neither party shall be liable for damages for delay or default if such delay or default is caused by circumstances or conditions beyond its control, such as, but not limited to, natural disasters, acts of war, acts of God, or health emergencies. The Parties will consult with other to determine if the event can be rescheduled. -- It is not permissible for boosters to provide expenses for individuals to attend any of the Buccaneer Baseball Camps. Expenses include but are not limited to, lodging meals, transportation, and/or camp tuition. Disclaimer: Please note that in accordance with NCAA rules, an athletic booster or other representative of Charleston Southern athletics interests may not pay for any expense (e.g., registration fee, travel, lodging, etc.) related to a prospective student-athlete’s participation in a sports camp or clinic administered by Charleston Southern or any of its coaches or staff members. This camp is not an official function of Charleston Southern and is open to all entrants limited only by numbers, grade level, and gender.